CONTACT ME: If these don’t answer your question please email rana@lightworkerlifestyle.com. I will respond within 24 hours. Your satisfaction is my top priority. However I am a small business owner and I appreciate your understanding of my limited refund policy. If you ordered the wrong item that is not refundable. All products are clearly marked so please read the description before ordering. Exchanges for a size that doesn’t fit will be determined on an individual basis. Size charts and photos of a person wearing the shirts are clearly provided so you can order the correct size. A new item will need to be ordered from Printful because every order is printed on demand and I don’t carry inventory. Please see terms below. CONTACT ME BEFORE RETURNING ITEM TO PRINTFUL OR I WILL NOT CONSIDER AN EXCHANGE OR REFUND. Thank you. You have 14 days to return an order after receiving it. I will not accept returns after 14 days. Item must be in brand new condition, preferably in original packaging. Email rana@lightworkerlifestyle.com for instructions. You cover the cost of the return shipping. If possible, please provide me with a tracking number for the return shipment. Returns of custom-made products will be determined on an individual basis. You are responsible for any damage incurred by items during the return shipment. I therefore strongly recommend that you send the products in their original packaging. I reserve the right to deduct any depreciation in value when refunding the product. If a returned item is shipped internationally, mark as “RETURNED GOODS” to avoid any Customs charges. I am not responsible for any charges imposed on packages returned by Customs. If the item is defective or damaged during shipping Printful will send out a reprint free of charge. Simply email photos showing the defective or damaged item and the packing slip to rana@lightworkerlifestyle.com and I will submit a claim. They are very quick in shipping out a replacement item. Because everything is made to order, Printful takes up to 7 business days to print and fulfill products. Sometimes the apparel product is out of stock from the supplier and that will cause a delay in printing and shipping your order. You will be notified of any possible delay with your order. Then you should add shipping times on top of that. International customers please keep in mind you are responsible for paying any duties and taxes in addition to shipping. If you need to change, cancel or add something to your order, please contact me immediately at rana@lightworkerlifestyle.com or 1+ 916 693 8070. Orders are processed automatically and immediately sent to Printful. If you contact me within 1-2 hours at most I may still be able to edit the order but once it has entered the print queue I will be unable to make any changes. For customizable designs (such as Lightworkers United) it is imperative that you email me with your customization BEFORE you purchase because once you pay the order is final and automatically processed so I will be unable to customize. Upon receiving your customization I will send you a proof of the design with your desired information and after you approve it then you will be able to complete your purchase and I will send the print shop the correct file to print with your order. 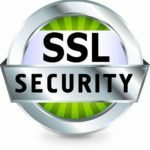 Lightworker Lifestyle is secured with SSL Encryption so you can shop safely. If you look up at the left address bar where it says the URL https://…. you will see the little green padlock. Click on it and it shows you are on a secure connection so you can rest assured your payment information is safe and secure on this website. I accept credit cards securely through PayPal and Stripe. Using PayPal, you do not have to have an account; you can simply use your credit card for a one time purchase on their encrypted payment page. Printful uses the latest direct-to-garment (DTG) printing technology to offer a wide variety of printable garments and design color options at an affordable price. The DTG ink in this process is different from the ink screen printers use. Keep in mind that the original manufacturer’s care instructions don’t take into consideration the DTG printing process. Sublimation apparel can be washed at any temperature setting without affecting quality. But they recommend washing with like colors, as the polyester fabric may make colors run. High temperatures during washing and drying may shrink the fabric. It depends. Email me at rana@lightworkerlifestyle.com with a basic description of your idea and we can talk about it. Live shipping rates are calculated when you enter your address during checkout. A $5 flat rate is also offered for every order. All orders are printed and shipped by Printful in Los Angeles, CA, or Charlotte, NC, USA. Because everything is made to order, they take up to 7 days to print products. Then you should add shipping times on top of that. Shipments outside of the USA may incur customs fees, depending on destination country. The fees may vary depending on your order value, country limits, and other factors. You are responsible for paying these fees. This is ideal for lightweight packages and it’s the most affordable USPS service that we offer. Maximum weight is 13 oz – this amounts to 1 shirt or 1-2 posters. Shipping times for Priority Mail are typically quicker than First-Class. Ideal for sending heavy shipments (up to 150 lbs) to business addresses across the U.S.
All expedited orders are automatically marked as priority in our system. As long as the items are in stock, we print and ship them as quickly as possible. This service is comparable to USPS First-Class Package Int’l. USPS First-Class Int’l prices are typically more expensive, but they offer tracking to Canada while International Economy does not. Tracking capabilities depend on the destination. Some countries have intra-country scans, while others will show when the package has delivered. Exact delivery time may be longer or shorter depending on the destination. Please note: tracking is only available to Canadian destinations.